Alvaro Bautista insists he will not allow his Le Mans podium to create a false sense of over-optimism as MotoGP™ moves on to Round 6 in Italy. The Italian Grand Prix at Mugello marks an important weekend for Bautista, with this being the home event of the GO&FUN Honda Gresini team. With the Spaniard having finished third last time out in France, behind Marc Marquez and Valentino Rossi, he is now looking to maintain his run of good form. "In Le Mans we had a great race, but we want to keep our feet firmly on the ground, so we look at Mugello with the same attitude as always: working step-by-step," Bautista comments on Tuesday. "The podium obtained in France, however, allows us to be more relaxed on a track with long, fast corners which might be difficult for us. "Our bike has improved in several areas after the Jerez post-race test, especially regarding suspension and brakes: improvements which helped us on a track like Le Mans; if they also prove to be useful at Mugello, we can say that we start from a really good base. It will be difficult to get on the podium - we have to be realistic - but we will try to stay as close as possible to the factory bikes, as always." 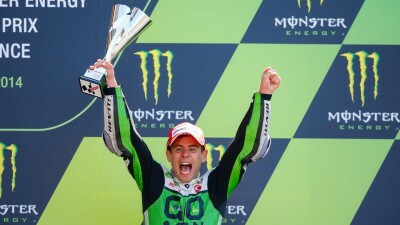 Bautista’s rostrum result of Le Mans followed his first points of the season thanks to sixth place in Spain, which itself came after a troubling start to 2014 when the former 125 World Champion crashed out of the Qatar, Americas and Argentine Grands Prix. "This Grand Prix is also really important for all the team, so it would be nice to get a good result in front of so many people who will come to support us: for the sponsors and for all the guys in the team," Bautista concludes ahead of Mugello.